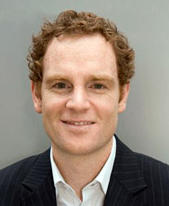 Associate Professor David Williams is a highly qualified Australian neurologist with an international reputation for his clinical and research work in Movement Disorders, Headache, Muscle and Nerve disorders. He is Adjunct Associate Professor of Neurosciences in the Faculty of Medicine at Monash University Melbourne, Honorary Senior Lecturer at the Reta Lila Weston Institute of Neurological Studies at University College London. He is visiting Neurologist The Alfred Hospital and Monash Medical Centre as well as numerous other private hospitals.His undergraduate medical training was undertaken at Monash University, where he obtained his medical degree in 1995. He was awarded the Harriet Power Scholarship for Medicine at The Alfred Hospital in the same year.His post-graduate training was undertaken in Melbourne and several hospitals in United Kingdom. He specialised in Neurology, training at The Alfred Hospital and St Vincent’s Hospital, Melbourne. He went on to finish his training at the National Hospital for Neurology and Neurosurgery in London after which he was admitted as a Fellow to the Royal Australasian College of Physicians.In London Associate Professor Williams joined the research team at The Reta Lila Weston Institute, and went on to complete a PhD in Parkinson’s disease and Movement Disorders at The University of London. He worked with Professor Andrew Lees (movement disorders, botulinum toxin treatment), Prof Patricia Limousin (deep brain stimulation surgery), Dr Carla Cordivari (tremor analysis), Prof Peter Brown (basal ganglia neurophysiology) and Prof Tamas Revesz (neuropathology). He developed his interest in scientific research and teaching amongst the students at Queen Square, and coordinated the Neurology Teaching Program and Moorfields Eye Hospital in London. Associate Professor Williams returned to Melbourne as one of the lead clinicians at The Van Cleef Roet Centre for Nervous Diseases, Monash University, where he directs the Movement Disorders Research Program. This program includes clinical trials looking at treatments of various movement disorders including Parkinson’s disease, progressive supranuclear palsy, multiple system atrophy, orthostatic tremor and essential tremor. Current research emphases include deep brain stimulation surgery for Parkinson’s disease, dystonia and essential tremor, the genetic basis of dystonia and Parkinson’s disease and molecular studies of Parkinson’s disease neurodegeneration. Associate Professor Williams has published over 85 scientific papers in peer-reviewed medical journals. His published research and book chapters cover topics that include: treatment of headaches; inherited muscle diseases; Parkinson’s disease diagnosis; pathology of neurodegenerative diseases; classification and diagnosis of movement disorders; and neuroimaging. He is a past-member of the Education Committee of the international Movement Disorders Society, and executive of the Movement Disorders Society of Australia. He is currently on the Executive Committee of Australian and New Zealand Headache Society and is a member of The Sports Neurology Section of the American Academy of Neurology. He is honorary Medical Adviser for PSP-Australia, acted as a Media Liaison for Parkinson’s Victoria and Co-Chair of the Melbourne Basal Ganglia Club. He has been awarded several scholarships, prizes and research grants, including the Bethlehem Griffiths Award, grants from The Brain Foundation and NH&MRC and a Neuroscience Research Fellowship. Associate Professor Williams is regularly invited lecture at international meetings. In the last five years he has presented to the symposia in Queenstown, Taipei, Seoul, Tokyo and London, clinical meetings in Freemantle, Auckland, Sydney and Melbourne and conferences in San Diego, Auckland, Queenstown, Adelaide and Paris. His short film “James Parkinson’s London” has been shown in Berlin, New Orleans and Chicago and was published world-wide by the Movement Disorders Society. He is an enthusiastic cyclist and sits on the Audit and Risk Committee for Cycling Victoria. He is a Graduate of the Australian Institute of Company Directors.